This week I’m featuring one of my TBRs, A Foreign Field by Ben Macintyre. It’s non-fiction about four young British soldiers who were trapped behind enemy lines at the height of the fighting on the Western Front in August 1914. The glutinous mud of Picardy caked at my shoe-soles like mortar, and damp seeped into my socks as the rain spilled from an ashen sky. Ina patch of cow-trodden pasture beside the little town of Le Catelet we stared out from beneath a canopy of umbrellas at a pitted chalk rampart, the ivy-strangled remnant of a vast medieval castle, to which a small plaque had been nailed: ‘Ici ont été fusillés quatre soldats Britannique.’ Four British soldiers were executed by firing squad on this spot. On a balmy evening at the end of August in the year 1914, four young soldiers of the British army – two English and two Irish – crouched in terror under a hedgerow near the Somme river in northern France, painfully adjusting to the realisation that they were profoundly lost, adrift in a briefly tranquil no-man’s land somewhere between their retreating comrades and the rapidly advancing German army, the largest concentration of armed men the world had ever seen. Local gossips thought that Jeanne was a’racy’ type; she smoked cigarettes, drove an automobile without gloves on, and treated everybody with exactly the same direct, penetrating and faintly lofty manner, usually from the saddle. I enjoyed reading Ben Macintyre’s Operation Mincemeat about the Allies’ deception plan code-named Operation Mincemeat in 1943, which underpinned the invasion of Sicily, so I’m hoping I’ll like this one too. It’s been over a month since I last wrote a WWW post so I thought it was time for another one. 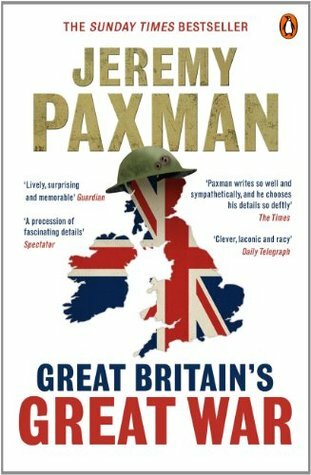 I’m currently reading: just one book – Great Britain’s Great War by Jeremy Paxman. I began it in November because it was the 100th anniversary of the end of the First World War and I wanted to know more about it. So far I’ve read just over half the book – now just starting to read about 1916 and the situation in Ireland. It’s written chronologically, analysing the causes of the war and why people at the time believed it to be unavoidable and even necessary. Paxman writes clearly and goes into detail which means it’s not a quick read and I’m taking it slowly. He writes about the people involved – the men who enlisted and those who were conscripted, the conditions they experienced from the trenches to the French brothels they frequented. It’s also about life back in Britain and the changes the war brought about. It is fascinating. 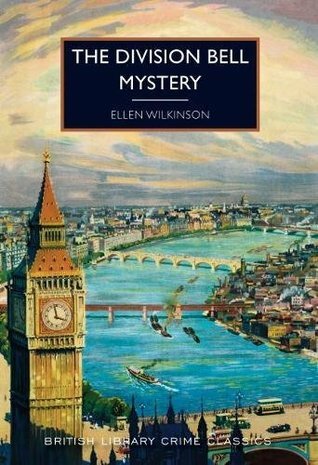 Qnother fascinating book – The The Division Bell Mystery first published in 1932 by Ellen Wilkinson, a 1930s politician, about a murder in the House of Commons. One of the reasons I enjoyed this so much is the setting in the House of Commons and the details it gives of not only the procedures and traditions, but a look behind the scenes and what it was like for the early women MPs. It’s a good murder mystery too! It’s time to start another novel but I am torn, as usual, and am trying to decide what to read next. 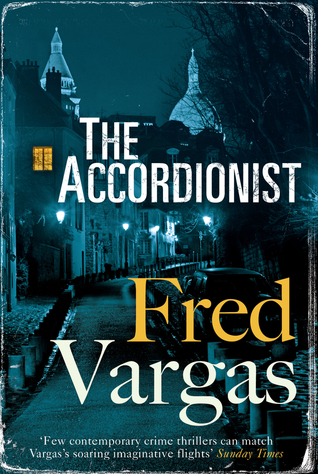 It will probably be The Accordionist by Fred Vargas as it is a library book dues back at the beginning of January. It’s the final novel in the Three Evangelists Trilogy – I’ve read the first two. This one has the same characters – three thirty-something historians, Mathias, Marc and Lucien, all specialists in three different periods of history, who live in a rambling house in Paris. I love Fred Vargas’s quirky crime fiction, with eccentric characters and intricate plots that I find so difficult to solve. This one is about the murder of two Parisian women killed in their homes. The police suspect young accordionist Clément Vauquer and it seems like an open-and-shut case. I’ve read a few books on World War 1, but I am nowhere near an expert. I’ve looked on Amazon and Wikipedia and am struggling to know where to start, there are so many books. So I would like some suggestions of books, specifically about the causes of the war and its progression, but not military history detailing the specific battles blow by blow! Also any personal memoirs that you can recommend. Testament of Youth by Vera Brittain – based on her diaries, telling of her life up to 1925, concentrating on the World War One years. 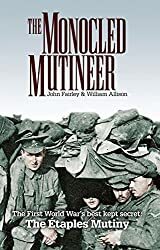 The Monocled Mutineer by John Fairley and William Allison – the main sources of information in this book are personal accounts from the veterans as they remembered them many years later. I also have a copy of Chronicle of Youth: Great War Diary 1813 – 1917 by Vera Brittain, her war diary on which she based Testament of Youth. I’ve read parts of this book. This is another short book review as I catch up with writing about my reading. 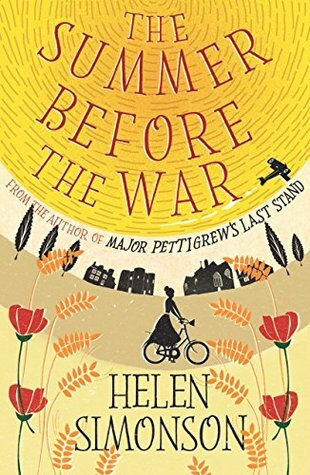 The Summer Before the War by Helen Simonson is one of my TBR books. It is her second novel and I enjoyed it so much more than her first book, Major Pettigrew’s Last Stand. It’s the summer of 1914, set in Rye in East Sussex when spinster Beatrice Nash arrived to teach Latin at the local grammar school. Her appointment was the result of Agatha Kent’s and Lady Emily Wheaton’s wish to have a female teacher as a Latin teacher. This is really a book of two parts – the months before the outbreak of the First World War and then the events as the war got underway. It begins slowly with the first part describing the lazy, idyllic summer and in which all the characters are introduced. Although there is a clear distinction between the classes in society cracks are beginning to appear which will only widen as the century gets under way and the war acts as a catalyst for change.. But it really gets going in the second part when the young men sign up, including High and Daniel, Agatha’s nephews, and Snout one of Beatrice’s pupils. He was underage but his father, the local farrier, signed the papers agreeing he could enlist. Simonson doesn’t hold back on the horrific conditions under which the war took place and from a gentle beginning the book moves into a war novel, emotional and moving. This book slots into the only reading challenge I’m doing this year – What’s in a Name 2018. It fits into two of the categories, The word ‘the’ used twice and A season. For the time being I’m putting it into the ‘season‘ category but may change that later if I read one of the other ‘season‘ books on my list. Today it is exactly 100 years since Britain joined the first world war! Everyone in the UK is invited to turn off their lights from 10pm to 11pm, leaving on a single light or candle for a shared moment of reflection. Stupendous events come so thick & fast after one another that it is impossible to realise to any extent their full import. One feels as if one were dreaming, or reading a chapter out of one of H G Wells’ books like ‘The War of the Worlds’. To me, who have never known the meaning of war, as I can scarcely remember the South African even, it is incredible to think that there can be fighting off the coast of Yorkshire. To sum up the situation in any way is impossible, every hour brings fresh and momentous events & one must stand still & await catastrophes even more terrible than the last.